Tonight we had an amazing storm roll through NE. Then after it had moved through the sky lit up like crazy. Yes, I shot a zillion shots of the sunset. Then I started to look around. 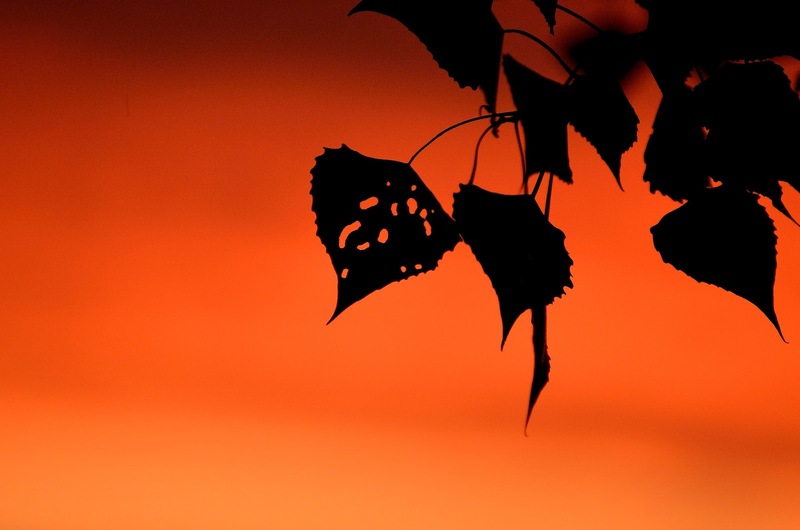 Found these leaves with the amazing sunset colors right behind them. No retouching done here. Those were the colors.